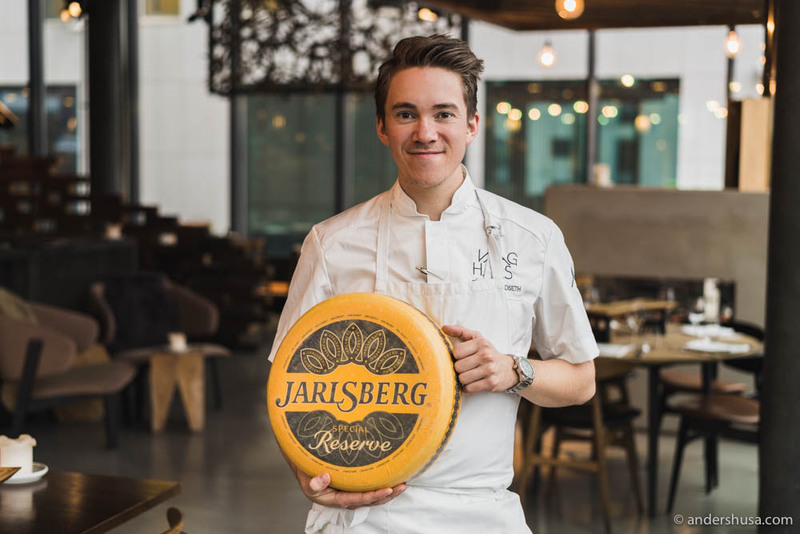 Throughout this year I have been part of the World of Jarlsberg® campaign by Tine, which seeks to discover how the famous Norwegian cheese is used in restaurants – both abroad and here at home. 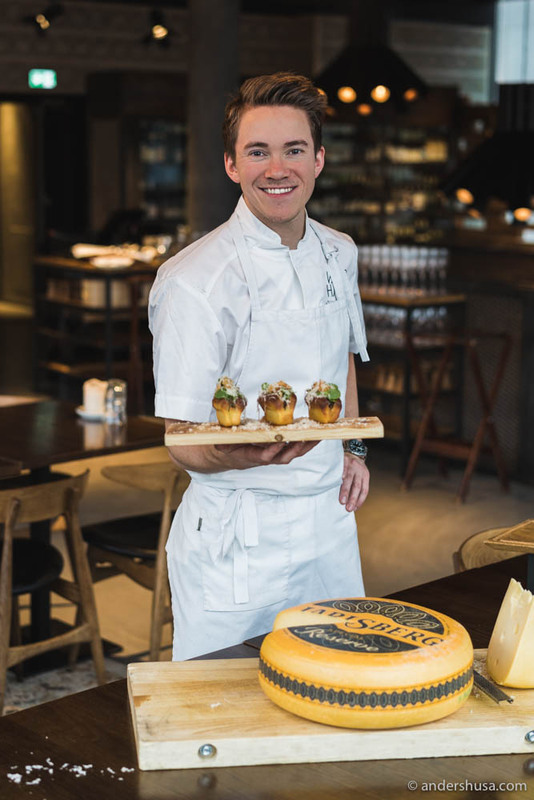 My job has been to speak with Norwegian chefs who cook with Jarlsberg® and learn their secrets so that I, in turn, can share them with you! Before I could undertake that task, I had to visit Ostebanken – the cheese bank – to learn more about the secrets of Jarlsberg®, what makes a cheese a Jarlsberg®, and why it is so unique. My next visit was to restaurant Melt in Oslo, where head chef Kim Asserson taught me his best tricks on how to make a delicious grilled cheese sandwich. Earlier this autumn, Runa Kvendset at restaurant Park 29 gave me her recipe for tarte flambée. 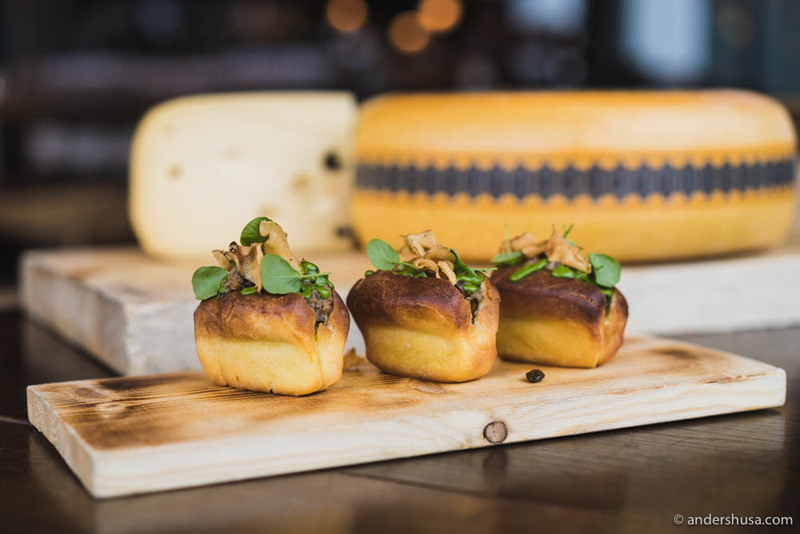 My third and final stop was restaurant Vaaghals in Bjørvika, where head chef Christer Rødseth had a very special recipe to share – brioche with lamb rillette and Jarlsberg®. Rødseth is also the captain of Norway’s culinary team, by the way. 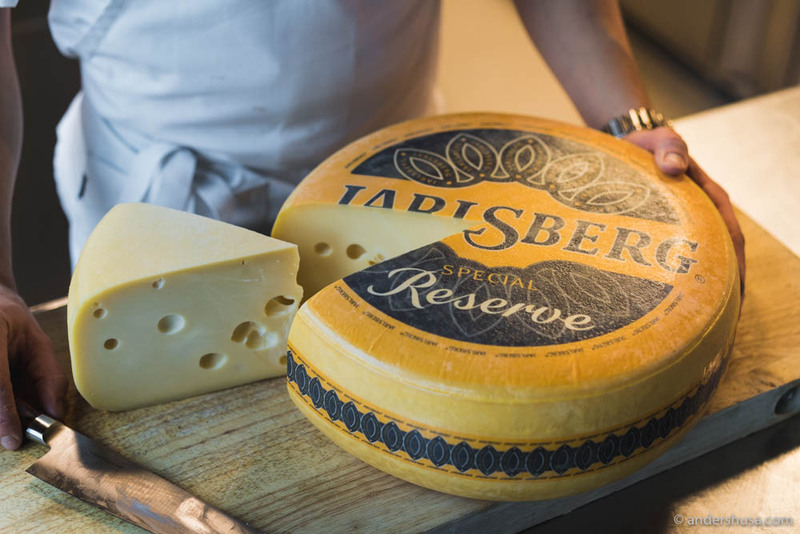 To see our meeting, check out Jarlsberg®’s Instagram account – @jarlsbergnorge. You can watch it live on December 5th and in highlights after that. Start by making the brioche. Blend the fresh yeast into the milk. Mix together the sugar, flour, eggs, and salt in a kitchen machine. Leave it on for about 10 minutes at low speed. Cover the dough and allow it to rise to double size. Knead the butter into the dough and make miniature bread rolls. You can use muffin cups or other bread forms if you have available. Again, allow the brioche dough to rise to double size. Glaze with a beaten egg. Bake in an oven at 160°C for about 35 minutes. Pay attention – they are ready when they are golden brown! Brioche with lamb rillette ready for the final touch. What could be missing? Boil the lamb meat in the lamb stock until it falls off the bone. Take the meat out of the stock and remove the bones. Finely dice shallots and garlic and fry in oil until it gets golden. Pour in the white wine and let it reduce to half the amount. Then pour in the lamb stock and allow that to reduce to half the amount as well before you add the butter. Use a kitchen machine with a K whisk to pull the lamb meat into fine strings. Mix together with the reduced stock and taste with salt and lemon. Reheat in a saucepan and fold in the shredded Jarlsberg® cheese. 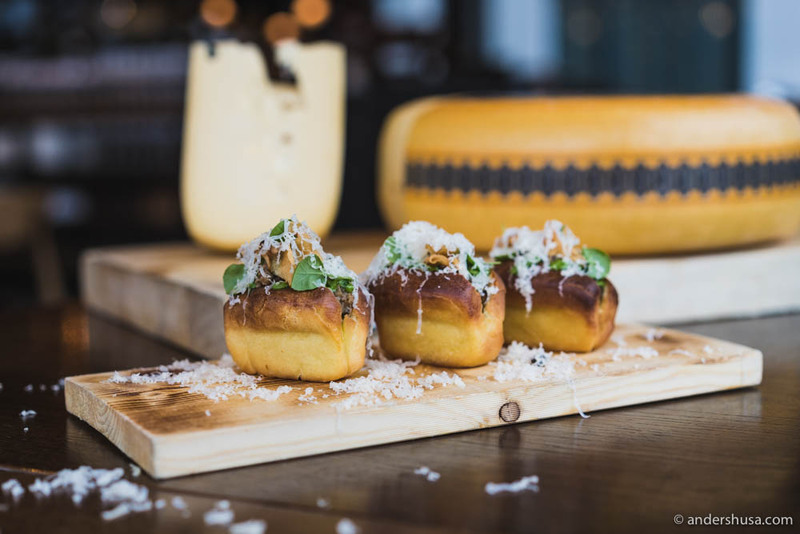 Finally, fill the brioche with lamb rillette and shred more Jarlsberg® cheese on top. For extra flavor, consider making a chives mayonnaise (use a stab mixer to thoroughly mix the chives into the mayo). You can also add some crunch by using crushed pieces of chips (either store-bought or homemade), e.g. Jerusalem artichoke chips or red beet chips. Toasted seeds like pumpkin or sunflower seeds is another good alternative. Add some color by using fresh herbs or watercress. What’s your favorite recipe with Jarlsberg® cheese? Feel free to share in a comment below. This is paid promotion by Tine.